With all the festivities and end of year parties that December brings, it's sometimes hard to find time to fit your crafting in. So today, I have a quick and easy design for you that will take just 10-15 minutes to complete. 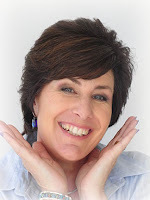 After all, who doesn't need a time saver at this time of the year?!! 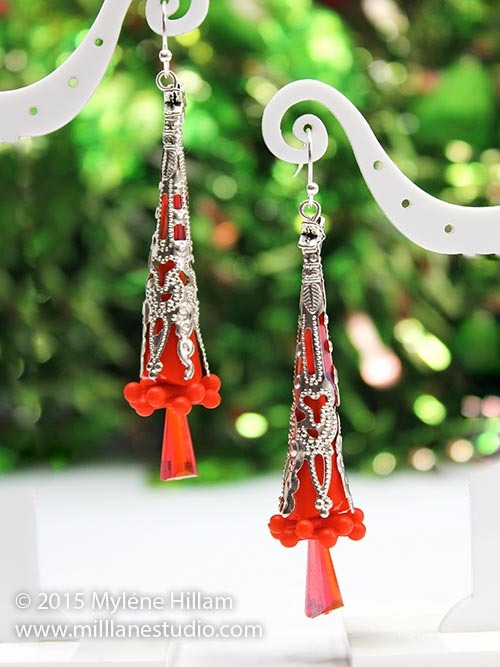 The earrings for Day 4 of the Twelve Days of Christmas are called Stylish Slender Trees. 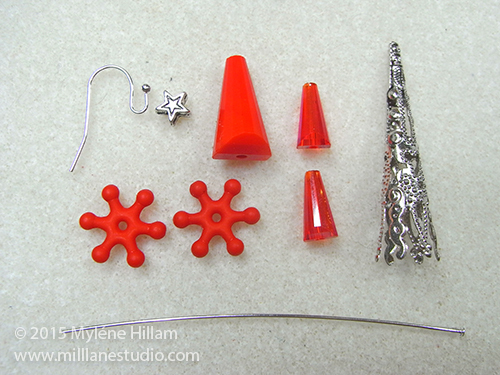 String a small cone bead, two snowflake spacers, a large cone bead and a small cone bead on a head pin. 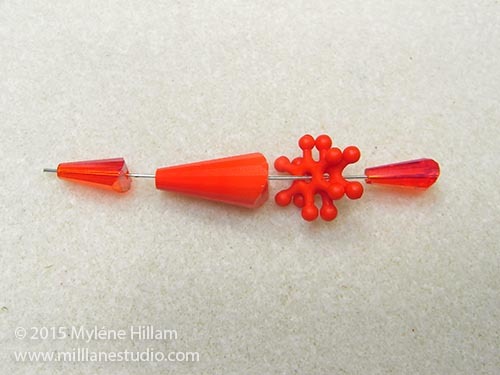 Slide a filigree cone end down over the last two cone beads. The seam of the cone bead will separate a little to accommodate the larger cone bead. 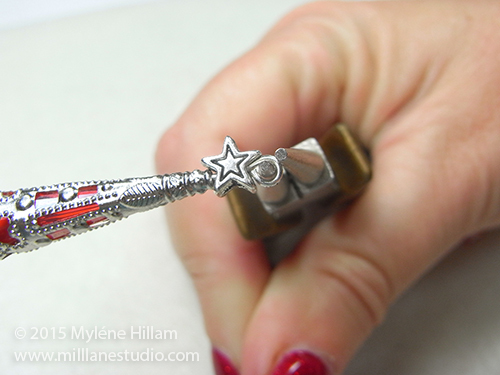 String a star bead. 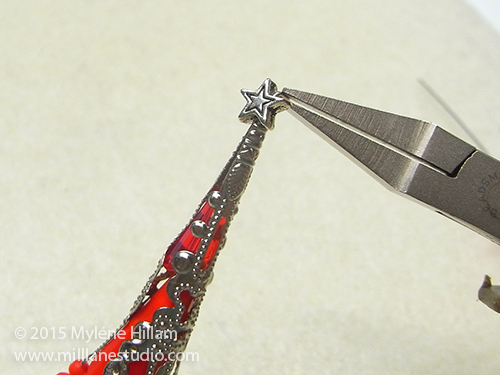 Grip the head pin as close as you can to the star bead and bend the head pin at a 90° angle. Trim it to 10mm (3/8") and turn a simple loop. 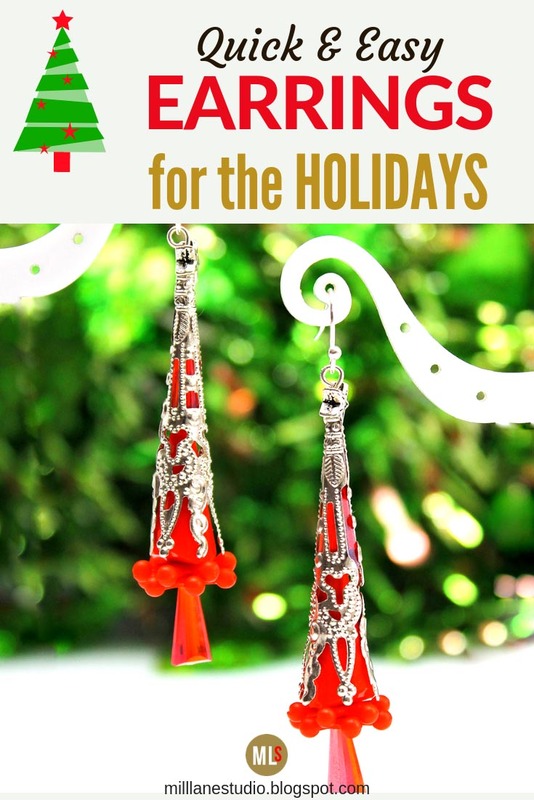 Attach the loop of the Christmas tree to the earring wire. Make a second earring to match and you have a pair of stylish earrings to wear to your Christmas gatherings that took just minutes to make!